I was born with stick straight THIN hair. When I decided to grow my hair long, it of course got on my nerves because of the limited time I had to style it and I would always end up putting it in a clip or ponytail. I was also sick of the same old hairdo when I went out (straight and parted to the side)…I needed to change it up. I went shopping at Ulta and came across a beauty tool that transformed my hair beyond recognition. 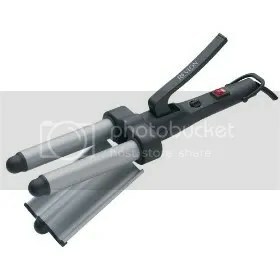 It was a godsend and perfect for people like me with thin hair! Call it a comeback, shoulder pads are back! If you like it or not the shoulder pad attack is coming in full force this year. They are being stuck everywhere from evening dresses to power suits. The shoulder pads made famous in the 80s have been spotted everywhere in Fashion week. The look isn’t as scary as one might think and can be a good style solution for the pear-shaped figure if paired with a dark, slim lower half. Cute little number I would wear as a birthday outfit. Still kind of cold here in Chicago so all this would be required. At my wedding this past October, I wanted my make up to look perfect! I played around with the idea of getting false eyelashes applied professionally, but I was worried about them falling off during the ceremony in an embarassing moment. The morning of the big day, I talked to the make up artist and she assured me the lashes would stay on all day, so I moved forward with getting them applied. It was a great decision on my part! The lashes looked flawless and I was amazed at the difference it made to the appearance of my eyes. I actually became slightly obsessesed..LOL. I washed my face SO carefully the next day so my lashes would remain intact and THEY DID! I didn’t even wear make up the entire next day, but the lashes gave the illusion that I was wearing make up. Here is a pic of me in August with just eyeshadow, mascara and my natural lashes . 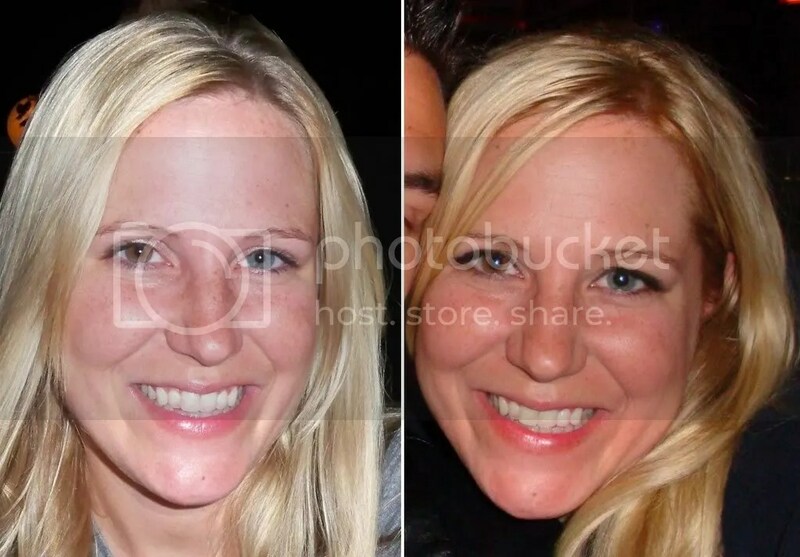 The picture on the right is from October with NO make up (but more tan) and false lashes.